Looks like it’s happening. 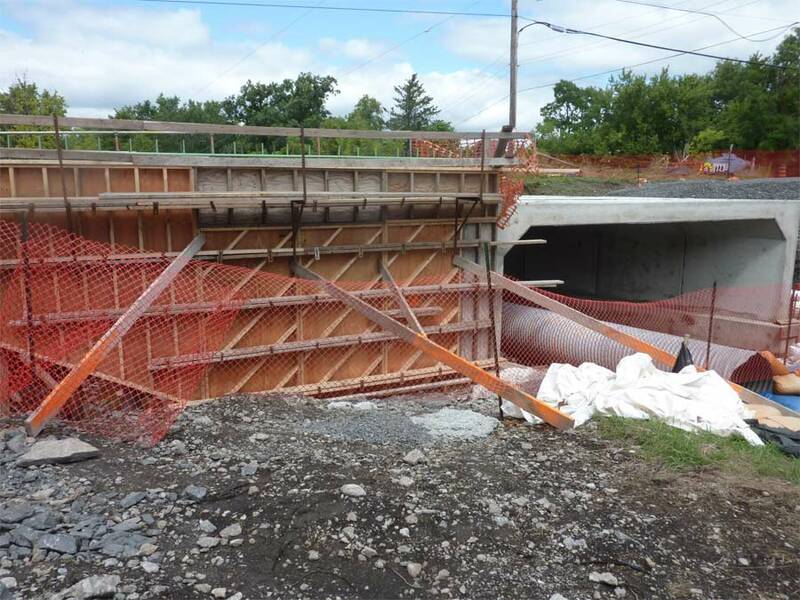 Large wooden forms now edge the gap between the concrete bridge sections and the road. They are double with a space between. I expect that’s where the cement will go. Our bridge will have tidy walls leading up to the arch. It remains to be seen what the inside fill will be. 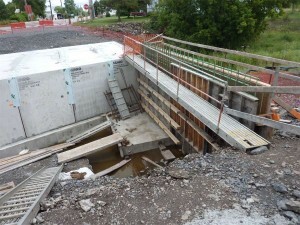 The bridge is supposed to be finished by the end of August. About ten days from now, not counting the weekend. That’s a lot of pouring and trucking and dumping and paving and finishing off with a fine bridge railing. It is only a little bridge but I’m starting to understand the over a million dollar price tag. This one better be good for another hundred years. Check out Gail Hamilton’s books.